All spay/neuter procedures performed at Rozzie May Animal Alliance are provided below cost to the public and to animal welfare organizations. As a non-profit we depend on fundraising and donations to make up the difference. Please consider supporting our mission by donating today! Rozzie May Animal Alliance is dedicated to reducing the number of homeless and unwanted animals in New Hampshire and western Maine by offering the community low-cost spay/neuter for cats and dogs. This will reduce the number of animals entering shelters and ultimately being euthanized. 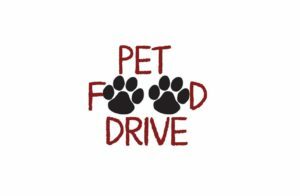 RMAA also administers the “Keeping Families Together Pet Food Drive” to help keep pets in their homes. As the need for low-cost spay/neuter resources continues to grow across are region, Rozzie May Animal Alliance is committed to helping pet families and animal welfare organizations care for their animals. Spay/neuter procedures are an important part of overall pet health and we will continue to offer these services in hopes that we can help as many cats and dogs as we can. Want to get involved? We sure could use the help. Click below to find out how you can join the mission! Have a question about our service? Ask Us! Would your business be interested in receiving upcoming clinic information or hosting a mobile clinic in your community? Rozzie May Animal Alliance travels to various locations throughout New Hampshire and western Maine. Dog clinics are held at our clinic at 290 West Main Street, Conway, NH. Please sign up ONLINE or CALL 603-447-1373 to schedule an appointment. 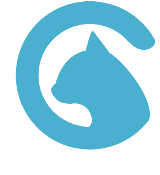 We also work many animal welfare organizations in our region to provide low-cost spay/neuter services to animals in search of their forever families! In 2007, Roz Manwaring and a group of supporters recognized the need for low-cost spay/neuter services for cats and dogs. In the years following, Rozzie May Animal Alliance became and continues to be the leader in spay/neuter in New Hampshire and western Maine. Rozzie May Animal Alliance uses our Cat Cab service or Feline Fix-It Wagon to reach cats from communities across our service area. Check out our clinic calendar for the next we will be in your community or nearby. Dog clinics are always held at our clinic in Conway, NH. Click below for more information.